Cannabis Science announced on Friday it’s entering the blockchain space. 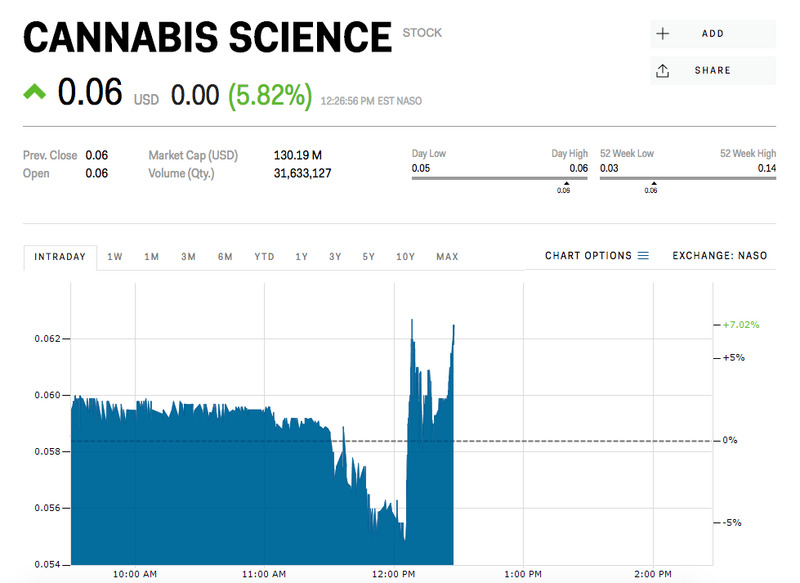 Shares of Cannabis Science, a company that specialises in the development of cannabinoid-based medicines, climbed into positive territory Friday afternoon after it said it will enter the blockchain space. Shares were trading down more than 6% ahead of the announcement, now they’re up about 6% – a 12 point move.